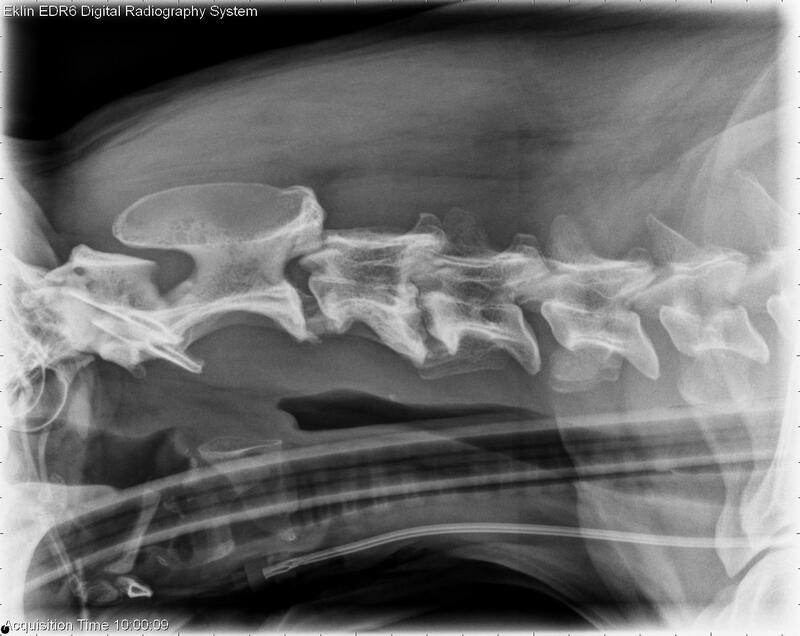 This week we have a 5-year-old male neutered Dalmatian with proprioceptive deficits in the hind limbs. Post your interpretations in the comments section. The C3-4 intervertebral space is severely narrowed. There is lysis associated with the oC3-4 end plates surrounded by sclerosis. There is mild spondylosis associated with the same intervertebral space. 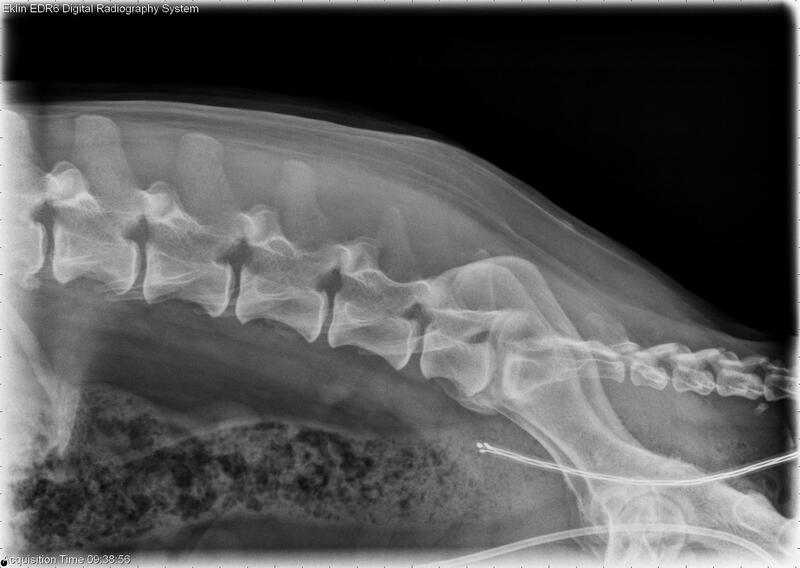 In the remainder of the spine, there is ventral spondylosis in the distal thoracic spine and lumbar spine. On the lateral projection of the thoracic spine the trachea is deviated dorsally and there is a diffuse interstitial pattern of the visible portions of the lung. Also on the lateral projection, a rounded opacity is observed superimposed on the dorsal aspect of the 6th ribs and is though to represent a summation artifact. On the VD projection of the thoracic spine, there is a bulge in the cardiac silhouette in the region of the left auricle and mild abaxial deviation of the mainstem bronchi. Cardiomegaly with left atrial enlargement. Endocarditis of the mitral valve should be ruled out. 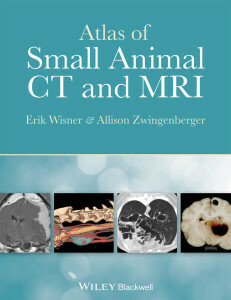 Recommendations: CSF tap and fluoro or CT guided aspirate of the C3-4 intervertebral disc with cytology and culture to definitively diagnose discospondylitis and determine the infectious agent (i.e. bacterial vs. fungal). Careful auscultation of the heart, thoracic radiographs and echocardiogram to more fully evaluate the pulmonary parenchyma and heart. Blood culture if evidence of endocarditis is observed on echocardiogram or if the patient has a history of fever. Urinalysis and culture to evaluate for bacterial cystitis as a potential source of the infection. How can we be positive about that opacity on the 6th ribs being nothing more that a summation artifact?